Tyres can be expensive, especially when you have to buy four at the same time. 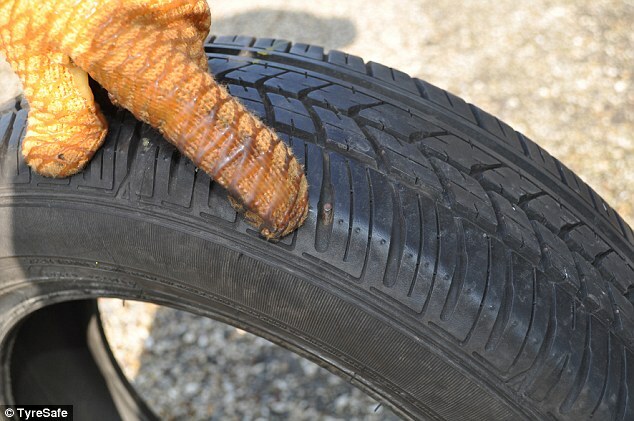 Opportunist businesses have attempted to take advantage of this by offering part-worn rubber to cash-strapped motorists. However, a new investigation has found that more than 90 per cent of these retailers are selling illegal and unsafe tyres to drivers. Tyre Safe and Trading Standards have teamed up to audit the products being offered by outlets selling part-worn tyres in the UK over the past five years. Of the 152 firms selling already-used rubber up and down the country, 139 were found to be offering illegal and unsafe tyres to unsuspecting motorists. Just 13 dealers – accounting for nine per cent of all the businesses reviewed – are selling roadworthy tyres. The national investigation highlighted that second-hand tyre retailers are either ignoring their responsibility to keep motorists safe when selling tyres or fail to have the required skills and experience to operate such a service. In some cases, investigators working undercover had tyres with water in them fitted to wheels and others provided the wrong size of tyre. The report added that the supply of part-worn rubber with nails and other objects embedded in them was also recorded on more than one occasion. 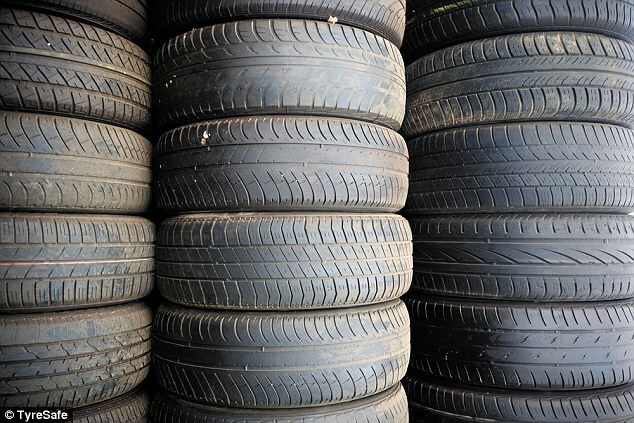 Of the 152 firms selling already-used rubber up and down the country, 139 were found to be offeringunroadworthy tyres to unsuspecting motorists. The probe into retailers resulted in prosecution of one firm following intervention from Hemel Hampstead Trading Standards. Part-worn tyre seller Hemel Tyres in Hemel Hampstead was ordered to pay over £7,000 in fines and costs for selling unroadworthy rubber. 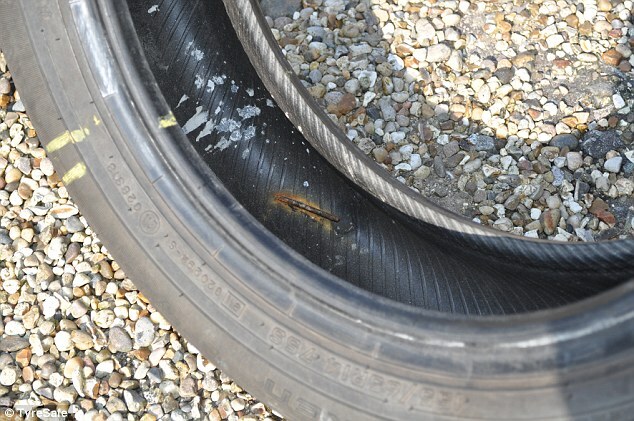 ‘In reaching their verdict the magistrates said they were shocked at the case and had considered the potential implications of selling unsafe tyres,’ TyreSafe said. Stuart Jackson, chairman of the safety charity, added: ‘TyreSafe applauds the magistrates’ comments and penalties in this latest conviction but it must be acknowledged that the retail of dangerous and defective tyres by part worn dealers is unacceptably commonplace nationwide. ‘While the shocking findings of joint investigations may reveal some part worn dealers are compliant, even if it is fewer than one-in-ten, motorists have a 90 per cent chance of visiting an outlet selling illegal tyres. ‘As far as TyreSafe is aware, there is no other retail sector with such an atrocious track record.